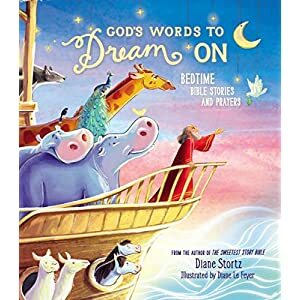 ★ “… A 28-page tour de force of a board book. . .it’s pure gold.” — Kirkus, starred reviewWhoop WHOOSH whoop WHOOSH click clack BUMP! 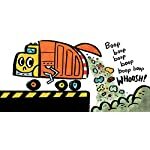 Bright and cheerful illustrations come together with a giggle-worthy variety of noises in this rhythmic tale of a garbage truck’s day. 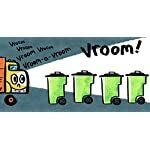 The illustrations provide young children with a truckload of opportunities to practice counting 0-5 and to work on beginning inference skills. 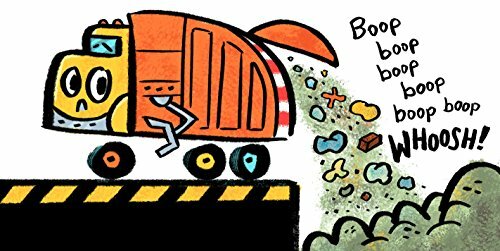 The story rolls to a gentle close, making it a perfect bedtime choice for little truck fans. 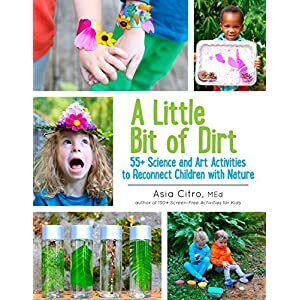 ASIA CITRO, M. Ed, is a former classroom science teacher with a Master’s in Science Education. 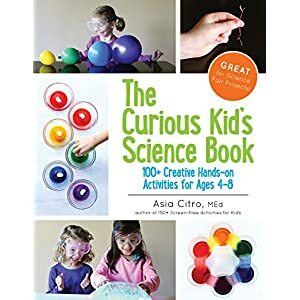 She is the writer of 150+ Screen-Free Activities for Kids, The Curious Kid’s Science Book, A Little Bit of Dirt, and the Zoey and Sassafras chapter book series. 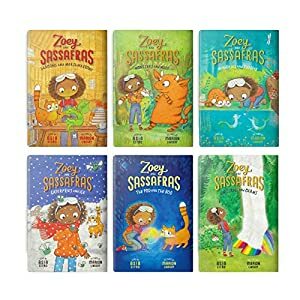 She may be the writer of the preferred blog Fun at Home with Kids. 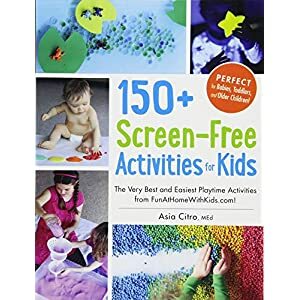 Her work has been featured on Apartment Therapy, The Chicago Tribune, Today, Disney Baby, MSN, King 5 TV, and Highlights, among others. 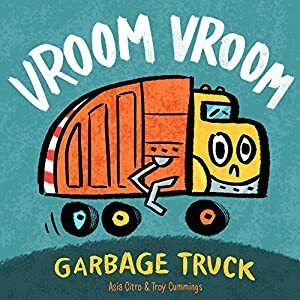 TROY CUMMINGS has written/illustrated a truckload of books, including THE NOTEBOOK OF DOOM, a series about a town full of monsters, and GIDDY-UP, DADDY!, the story of a man who’s unsuitable for a horse.He has also illustrated LITTLE RED GLIDING HOOD by Tara Lazar, MIGHTY TRUCK by Chris Barton, and MORE BEARS! by Kenn Nesbitt.Along with books, Troy’s illustrations have gave the impression on: animated backdrops for an opera, a package of fish sticks, jigsaw puzzles, iPad pop-up books, a poster warning people about germs, a poster warning people about a film festival, acookbook for dogs, a thing for the humane society, a card game about mountain climbing, newspapers, magazines and greeting cards. Troy Cummings lives in Greencastle, Indiana with his nice circle of relatives and mean cat. See more of Troy’s work at www.troycummings.net. 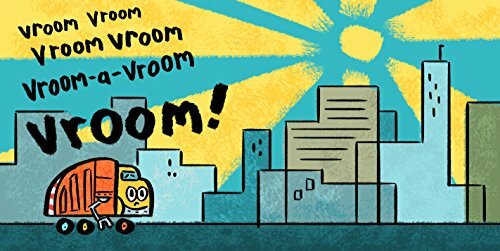 ★ “… A 28-page tour de force of a board book. . .it’s pure gold.” — Kirkus, starred reviewWhoop WHOOSH whoop WHOOSH click clack BUMP! 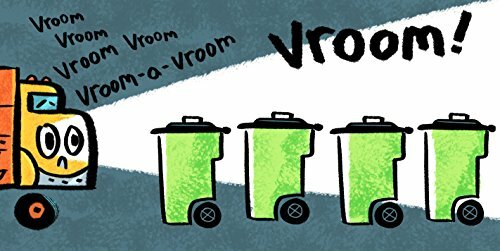 Bright and cheerful illustrations come along side a giggle-worthy variety of noises in this rhythmic tale of a garbage truck’s day. 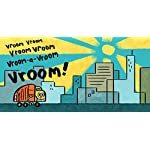 The illustrations provide young children with a truckload of opportunities to practice counting 0-5 and to work on beginning inference skills. 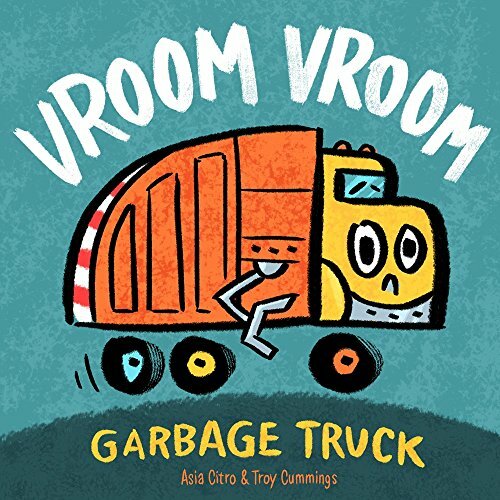 The story rolls to a gentle close, making it a perfect bedtime choice for little truck fans.